I've written two additional random walk projects. The first of the two is essentially a Monte Carlo experiment that shows that the average square displacement of a random walker from zero, its starting point on the integer number line, is n, the number of steps in the walk. 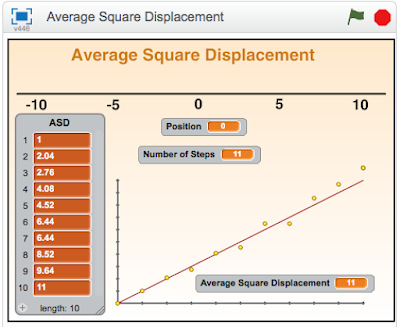 In equation form, let D equal the average square displacement. Then D^2 = n (or D = √(n)). The Nobel physicist Richard Feynman provides a simple algebraic proof that D^2 = n.
A copy of Feynman's proof is available upon request. Email grandadscience@gmail.com. This Scratch project can be viewed by clicking on the following link. The second project is another Monte Carlo simulation. 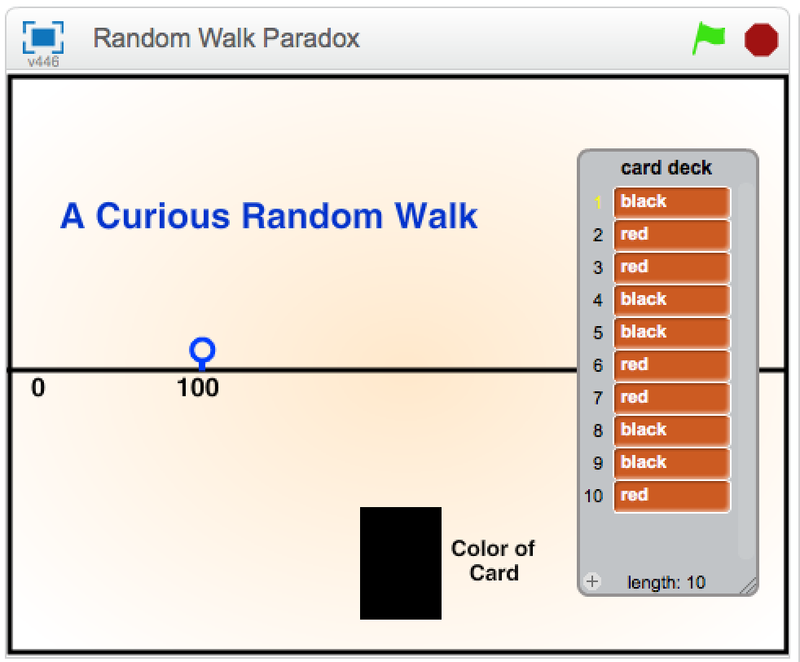 Consider a random walker starting at position 100 on a number line that has no barriers. Instead of flipping a coin to randomize left or right movement the walker has a pack of ten playing cards, 5 black and 5 red. The cards are shuffled and held face down in the walker’s hand. The walker selects, without peeking, the top card from the pack. The walker then looks at the card. If red, the walker moves to the right half the distance the walker is from 0. If black, the walker moves to the left half the distance the walker is from 0. The card is then discarded. The walker continues selecting a card and moving to the left or to the right as determined by the color of the card and the distance-halving rule until the tenth card has been looked at and the walker’s position changed according to the color of the last card. 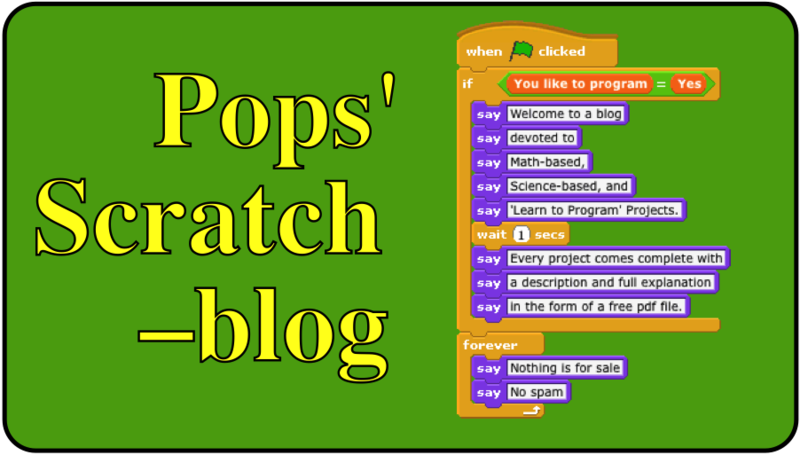 You can explore the problem with paper/pencil or a calculator but a simple Scratch program is the easiest way to reach a surprising conjecture about the problem. The problem originated with Enn Norak, a Canadian mathematician and appeared in May 1969 issue of Scientific American magazine.